On WEDNESDAY, NOVEMBER 28, 2018, STUNNA closes out another month of broadcasts of 'THE GREENROOM' on BASSDRIVE Radio with a special installment featuring exclusive guest mixes from IMPISH and PAUL A.F in support of the brand new 'OCCULTI XI' compilation on the OCCULTI MUSIC imprint. 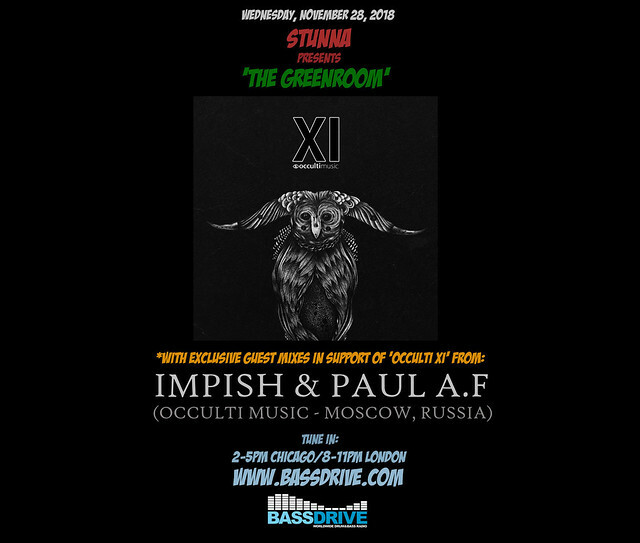 The MOSCOW, RUSSIA-based OCCULTI MUSIC label has seen much success the past few years with both its heavily lauded vinyl and digital releases, as well as their popular 'BURNING SERIES' of club nights and events. The end of 2018 ushers in a fresh new compilation of music from the label in form of 'OCCULTI XI'. The 12 track release includes music from label head IMPISH and MOSCOW DRUM+BASS scene legend PAUL A.F alongside talented artists by the likes of ZERO T, FD, ROY GREEN, PROTONE, HUMANATURE, DAVE OWEN, CNOF, CUTWORX, CHRIS HARMONICS, AGBO, AX FAREL, MAYKORS and JOAKUIM. Showcasing the label's ethos of combining deep yet beautiful sounds, 'OCCULTI XI' is available this winter on 12" vinyl, CD and digital formats. 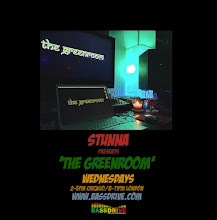 Join us this session as IMPISH and PAUL A.F grace 'THE GREENROOM' with special guest mixes created especially for this broadcast. Tune in! !